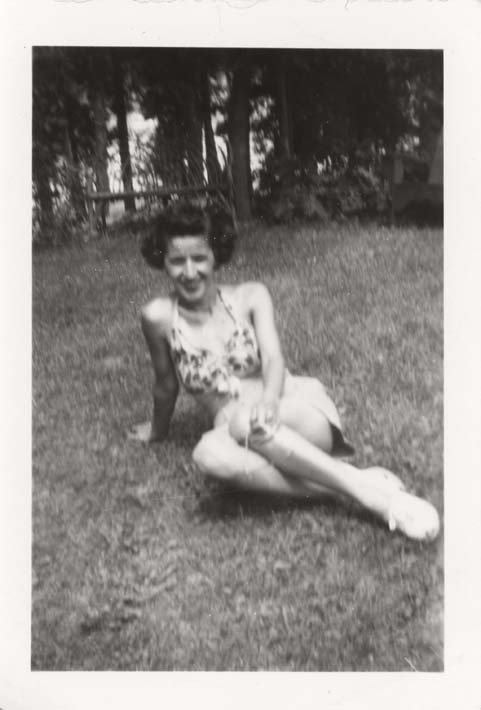 This is a blurry black and white snapshot of Antoinette (Toni) Ciccarelli sitting in the grass smiling at the camera. She is wearing a patterned halter bra with a light coloured skirt and white shoes with laces. There are tall trees in the background.